Dressel Divers is a company build by the hard work and effort of its employees. Today, on International Women’s day, we want to honor all of them. 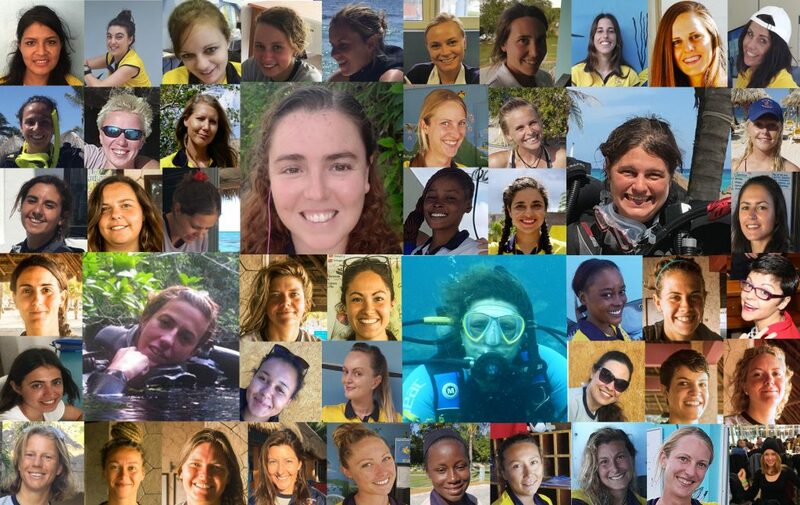 Dressel Divers women contribute to the enjoyment of our customers, thanks to their effort, talent and passion. In addition, they are making Scuba Diving a much more popular sport. And if all this was not enough, they are simply making the world a better place to live. Today, is the turn to listen to the voice of the women who work for Dressel Divers. 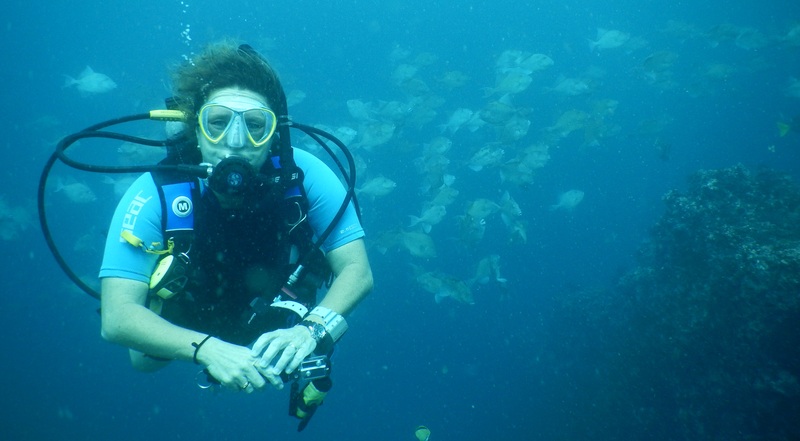 4 of our women managers tell us about the development of their careers in Dressel Divers. In addition, they also analyze how the role of women in the world of diving has evolved. How has your career in Dressel divers been and what has the company provided for your development as a professional? My career with Dressel Divers has been great! It has been challenging, which for me is essential in every single thing I do. I love being challenged to grow, to be better, and this company really helped me improve my skills as an instructor and as a professional in general. I was hired as a newly certified instructor, and Dressel Divers guided me and helped me become a responsible and good instructor. I´ve done quite a lot of things in the company these past 11 years, and one of my main goals when I arrived in Mexico was to become a cave diver to be able to guide in the Cenotes. It wasn´t easy since the Technical diving world is still more of a “male world”, and back then there weren´t a lot of women doing this. 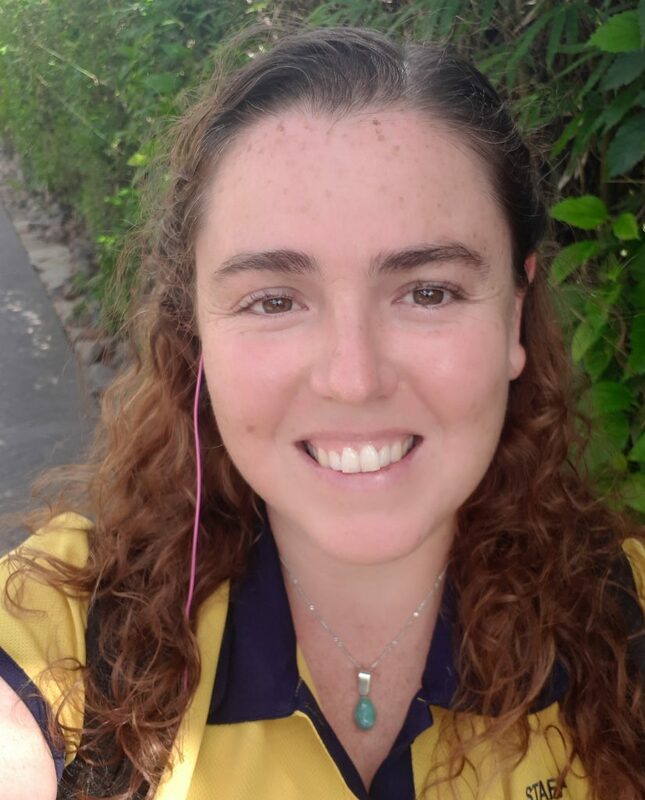 I did everything to accomplish that goal and Dressel Divers did give me the opportunity to work in the Cenotes department and, as you can imagine, I was extremely happy. It was really nice to show that women can be equally good in the technical diving world as well, and I was very proud to earn that position with effort. Now I’m at the HQ responsible of the Human resources department, a whole new challenge that I´m taking in with the same enthusiasm I started the first day. How has the role of women in diving evolved? Do you think there are still goals to be achieved by women? The role of women in diving definitely evolved in a good way this past decade, and some of the best and more caring instructors I worked with are indeed women. If you look at our staff is nice to see that is quite balanced in regards to the amount of female and male instructors we have at our dive centers. However, I do believe that there are still goals to achieve by women in the diving industry, like in most careers around the world. I would say that mainly in the Tech and commercial diving world, women need more presence, and I truly believe that we are equally capable to do everything with the same level of excellence and professionalism as men are. I encourage all women divers to enter the tech diving world, to extend their knowledge in diving and grow as professionals as well. We can do it! I was very lucky to start with Dressel Divers in 1999, at a great moment of expansion in the Dressel Divers history, which gave me the chance to be part of a growth period of the company. Due to the expansion right at that time I had the chance to become Dive boss after just a month or so and had the great opportunity to start the brand new and exciting base of Cozumel as a base leader after 4 months in the company. After getting the base set up, I got the opportunity to be the assistant Instructor trainer to our SSI Instructor training programs and be the SSI MAP for the different centers. I am happy that I was able and permitted to get involved with some input and ideas, regarding operations and development, from my 8 years of previous Hotel environment experience in animation with a known German Hotel chain. Having had the chance to return to Dressel Divers, after various seasons as ski and snow board instructor, which had been part of my occupation long before becoming a diving instructor, made it possible, to use my ideas for the openings of a few more Dressel Divers dive centers in new Hotels, like Playa Paraiso, Jamaica and at last Puerto Vallarta and have a successful two years as the administrator for the Dominican Republic. I had some great mentors in Dressel Divers, but most of all thank you to a great visionary, Javier Ibran, who is “straight forward” and always made me feel welcome within the Dressel Divers family. I feel that women in diving are slowly getting more influence. It’s not a secret that we are sensitive for the needs of the people that surround us, so we have a great opportunity to be life changing to other women, that see what we do and give it a go! Sure, it would be great to see more women in positions like course director etc… So, believe in yourselves and let’s do it girls!! Almost 4 years ago I decided to move to Mexico and contacted the Dressel Divers human resources department. After changing my plans and arriving in Mexico I wrote them a quick message and got in less than 12 hours an answer with a contact. A few hours later I was already in my uniform and working as a sales representative. WOW! From the first moment on I enjoyed the amazing atmosphere and helpful colleagues. 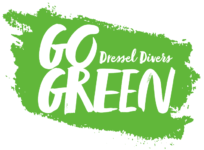 Dressel Divers gave me the chance to gain more experience in the diving industry and they have been encouraging me personally since almost 4 years. Dressel Divers was always interested in developing my skills and knowledge. After 6 month working I got promoted to be in charge of a small satellite base. Dressel Divers supported my work permit. They also supported my Divemaster, IDC, MSDT and IDC staff instructor course. I got the chance to represent Dressel Divers at different dive shows in different countries. Publicity became also one of my additional fields. Now, after almost 4 years I am Base Leader of our dive centre in the impressive Iberostar Paraiso Resort. I’m really happy that I got the chance to work for Dressel Divers, took it and am now part of this “family”. I never regretted my decision. The evolution of women in the diving industry is running. 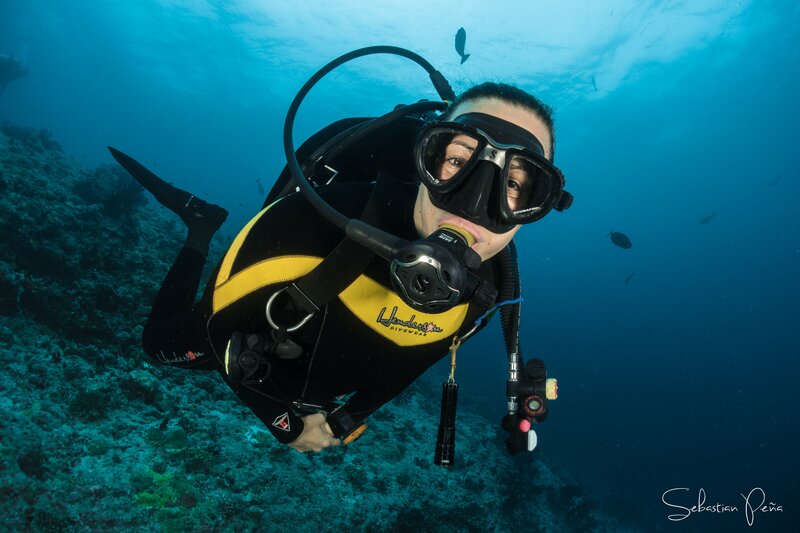 You see more and more women becoming Dive Instructors or even Course Directors. I remember that at one point during my time in Dressel Divers Playa del Carmen dive center in the Iberostar Tucan & Quetzal resort, we were a team of just female dive staff apart from one instructor. This made us girls super proud and showed the evolution of women in the diving industry at its best. Also you have more and more dive equipment customized for women, so we no longer need to fit in male equipment. Nothing else can show more that women are more than welcome in diving. Also the TEC diving line is getting more and more evolved by a lot of women. About achieving goals, that’s something hard to say, as I see a lot of female free diving, recreational and technical divers, so we are present in all areas. Also I never experienced any negative moments towards female divers during my diving career. As we like challenges, of course everyone will still have personal goals to achieve, but in general I would say we “females” are already present in all parts of the diving industry. I started my path in Dressel Divers Mexico as an Advanced Open Water diver and began to do the internship to become an Instructor. I completed 6 months in Mexico where I became a Divemaster and then I was transferred to Dominican Republic where I became an Instructor. During my internship and during my IDC, I expanded my knowledge significantly thanks to all the staff, but especially Cris my course director. After working for 2 years as an instructor Cris finally convinced me to do the IDC Staff course which was an amazing experience that steered me in the right direction and one I truly wanted, to be a mentor for younger instructors. Shortly after my IDC staff course I was promoted to Dive Boss in Bayahibe, which has given me the opportunity to guide other Instructors and Divemasters, turning them into a highly motivated and successful team and I’m loving every bit of it. I’ve always felt that Dressel has been on my side, giving me a lot of opportunities to grow not only as an instructor, but as a person. Being able to shape younger minds and helping them to grow and achieve their goals in scuba diving. Women who scuba dive are the real mermaids of the sea, with their hair flowing in the water, it’s just so beautiful, so ethereal, so mesmerizing. We dive gracefully, we connect with the ocean and it’s creatures and we feel the nature’s calling deep in our hearts and souls. It makes us feel alive, special and boosts our self-esteem, making us a great role model for the next generation of underwater women. In my opinion, the role of women in diving has evolved in parallel to the role of women in society in general. When women decided to drop the skirts and start wearing pants, that’s when everything changed for them, for us. They were able to show the world they could do everything a man can and with high heels and makeup, while carrying their child in their arms. If anything had to be proven, it was a long time ago, going into “men’s” activities was the stepping stone that enabled them to get out of the kitchen and into the work force, making their own money, being independent and still being loving and caring and providing for their families. Strength comes from uniting forces and hearts, uniting women across the world and across diving, this being the only thing we have yet to achieve in full… because we rock at everything else! And hey, if me and other Dressel Divers’ women can manage a multinational team with men from all countries, many for cultural reasons not always adaptable to a woman in a position of strength and creating a productive and respectful team, any woman in the world can do whatever they set their minds to!